No fancy set-up required. 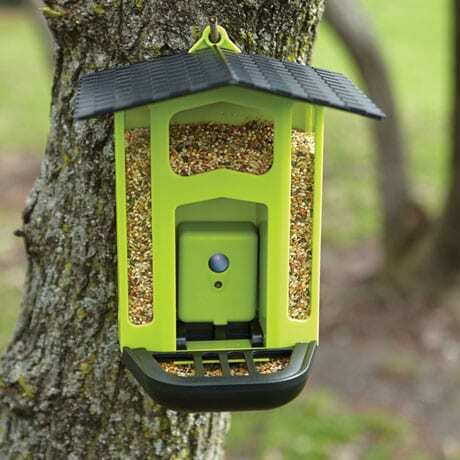 Just fill the feeder with seed, hang it, and enjoy up-close-and-personal pics of birds coming to dine. Motion-activated 1.5MP camera with rechargeable battery (included) captures images for up to 30 days, based on weather conditions. Eject the card and download the images for viewing, emailing, or posting. Roof and bottom base tray cover remove for refilling and cleaning. Charging cable included. SD card not included. 5 ½"w x 9 ½"h x 5 ½"d. Some assembly.